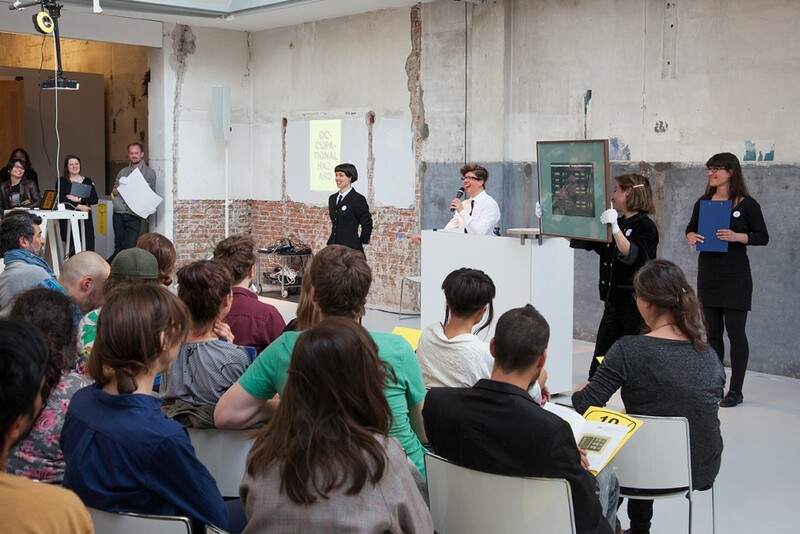 Dead Darlings is an anonymous art auction founded in Amsterdam in 2005 as a platform to explore the complex love triangle between artist, artwork, and collector. Dead Darlings #8 – Occupational Hazard, 2015. 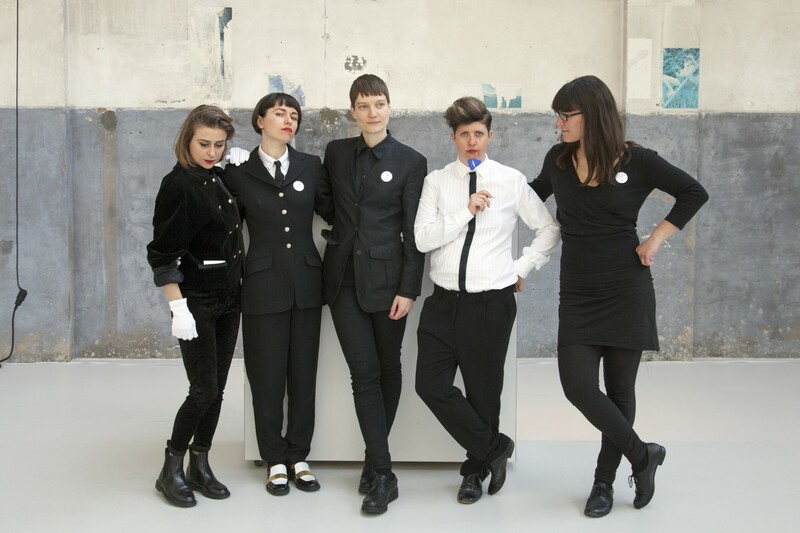 From left to right: white gloves Kristina Mirova, Kali Rose and Daiana Voinescu; auctioneer Tania Theodorou and one of the team members Hanna Mattes. Photo: Kyle Tryhorn. 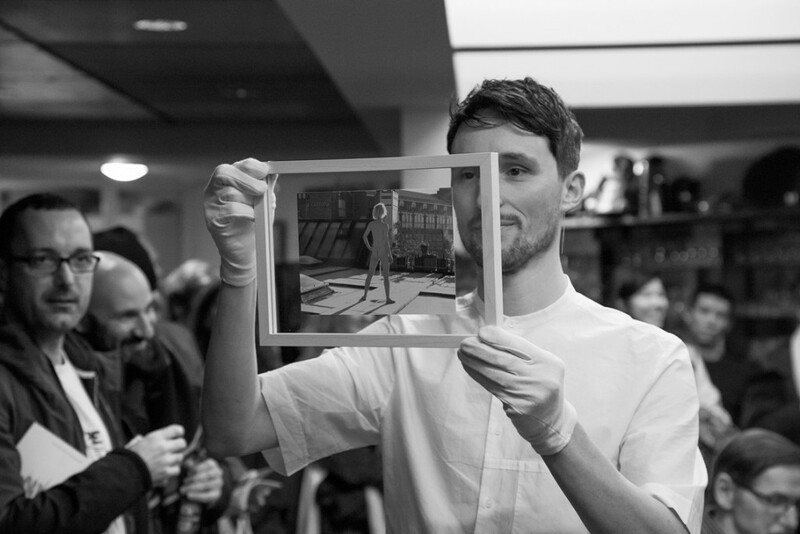 Our events combine elements of performance and exhibition. Our focus is on artefacts whose value is ambiguous: Dead Darlings. This refers to a work that an artist has created, yet for any variety of reasons, has not brought to light. The name Dead Darlings was inspired by the phrase “kill your darlings”, something that we were so often advised to do in art school and later had to learn as artists to do for ourselves. 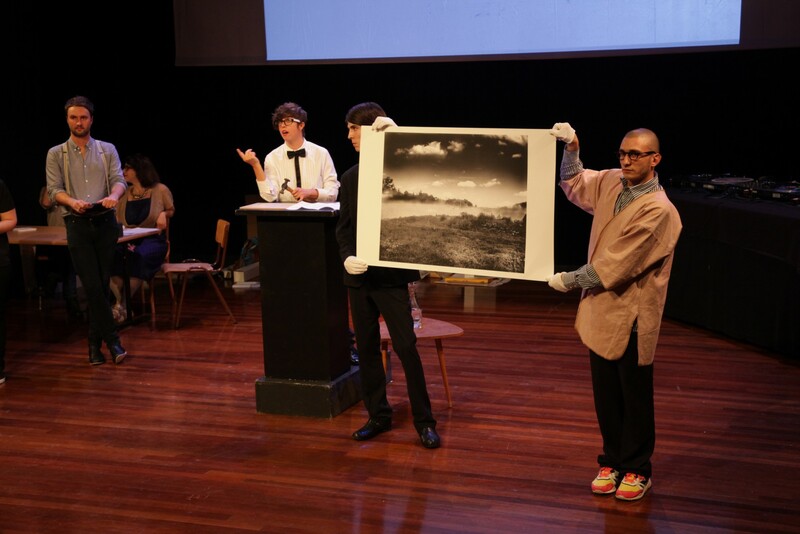 Our amazing white gloves Roberto Pérez Gayo showing an artwork to the audience during Dead Darlings #10 — Flash in the Pan, 2018. Photo: Kyle Tryhorn. 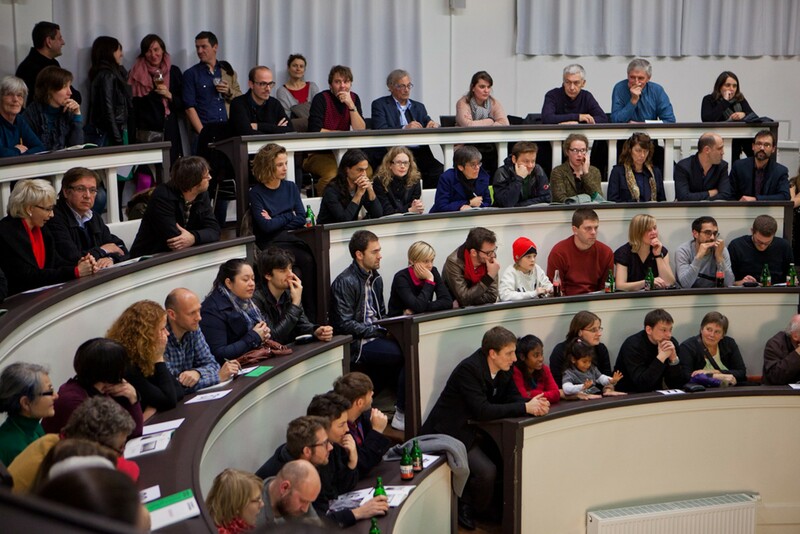 Audience gathering at Foam Museum during Dead Darlings #9 – Entropy, 2017. Photo: Kyle Tryhorn. 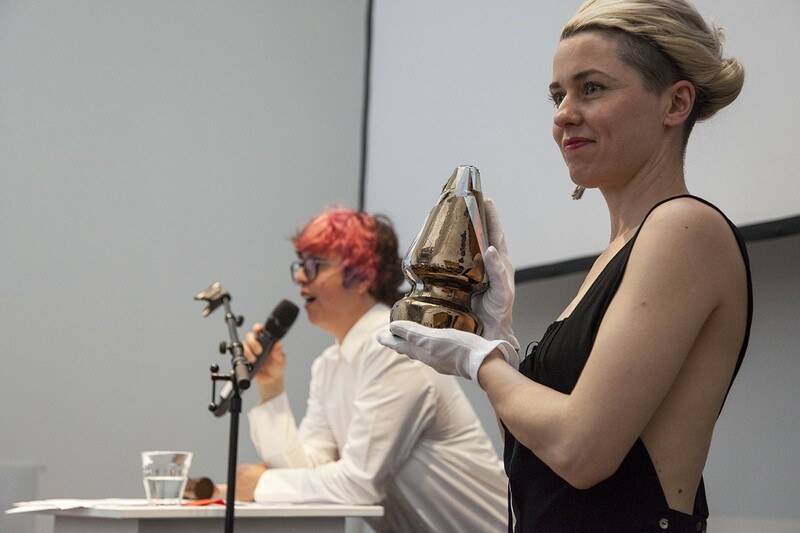 Our amazing white gloves Karly Rose holding an artwork to the audience, with auctionier Tania Theodorou in the background during Dead Darlings #9 — Entropy, 2017. Photo: Kyle Tryhorn. 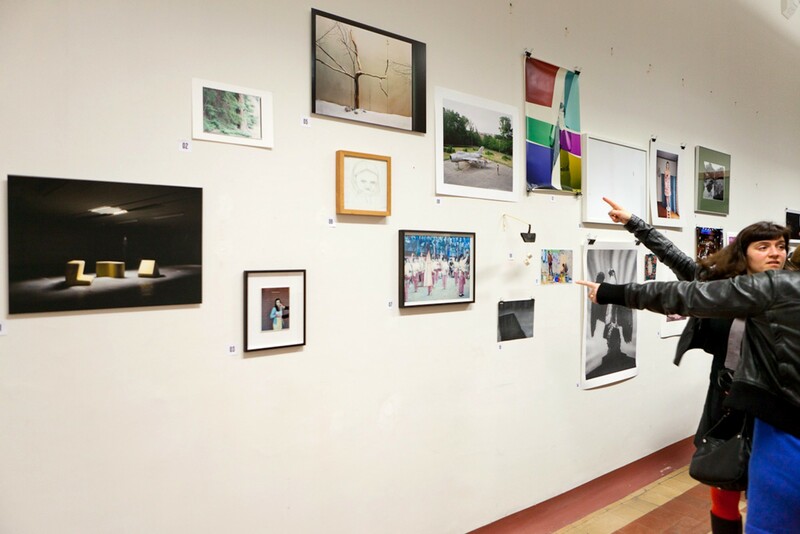 We wondered what becomes of these ambivalent works, and what if we could help artists dig them up from the dusty corners of their studios and give them a chance to live and be seen? 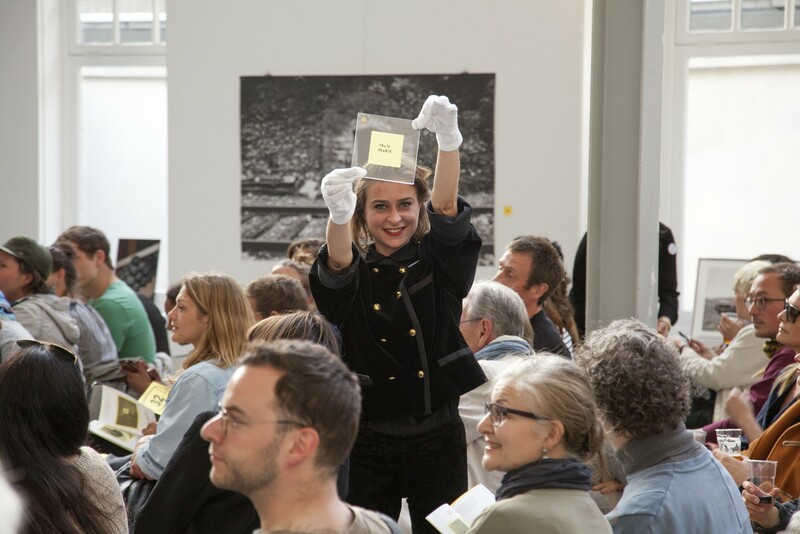 Our amazing white gloves Kristina Mirova holding up an artwork during Dead Darlings #8 – Occupational Hazard, 2015. Photo: Kyle Tryhorn. Dead Darlings #6 – Inner Circle, Brakke Grond, Amsterdam, 10 September 2011. Photo: Ingo Sturm. 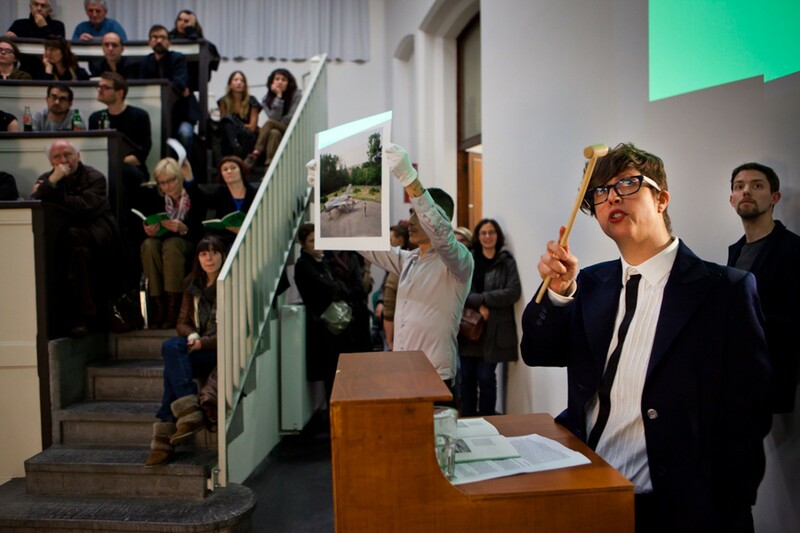 Doing this through an auction makes sense, as this is a format where often buried treasures come to the surface, but since we ask artists to give up their darlings at absurdly low starting prices, it’s also a bit of a cheeky wink to the art market establishment by adopting and mocking one of its most solemn manifestations. Dead Darlings #7 — Ghent, 2011. Photo: Thomas Janssens. In addition to inviting artists to reflect on their own process, helping their dead darlings come back to life, we also aim to extend the label of “art collector” to people who would not otherwise be able to afford original contemporary art works. Dead Darlings #7 — Ghent, Anatomic Auditorium ‘Cirque’, Ghent, 3 December 2011. Photo: Thomas Janssens. 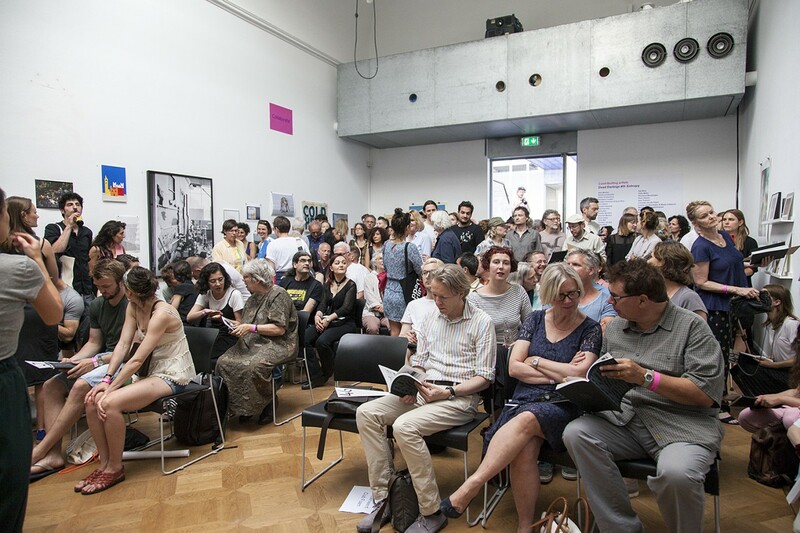 What we try to do as a collective is bring something “unseen” out into the public. Our philosophy has been to feature established and museum level artists along side upcoming and more obscure artists. We try to reflect on why a particular work has been designated in such a way, challenging notions of value, demand, desirability and commerce. Dead Darlings #8 – Occupational Hazard, 2015. Photo: Kyle Tryhorn. At this moment our collective has a core of four principle members: Tania Theodorou, Lina Ozerkina, Hanna Mattes and Jessie Yingying Gong. Tania Theodorou keeping track of the paddles during Dead Darlings #7 — Ghent, 2011. Photo: Thomas Janssens. Through the years of presenting these works at our auctions and in our catalogues, we’ve had the chance to reflect on and expand the notion of what makes a Dead Darling dead, but more importantly, on what can bring it back to life!